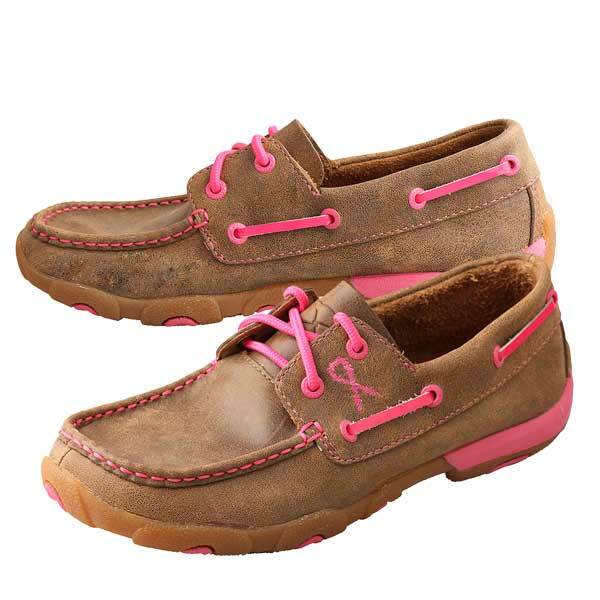 This Twisted X Women's Breast Cancer Awareness Driving Moccasin offers supreme comfort, flexibility, and style. 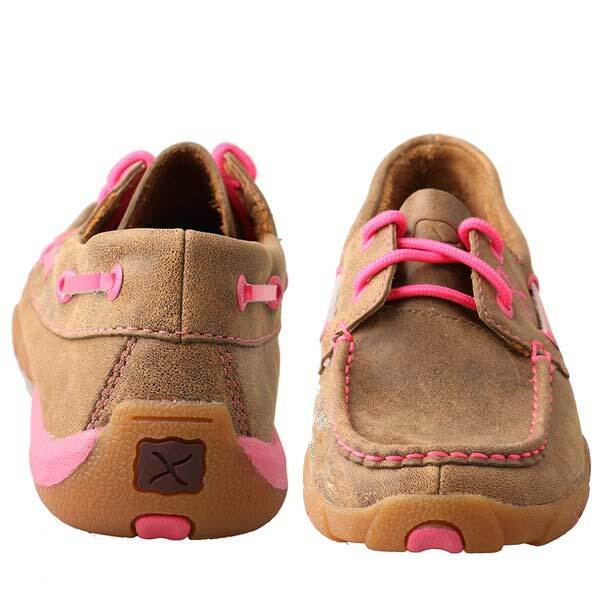 The embroidery feaures the Breast Cancer ribbon with contrasting pink stitching on the shoe to show your support for Breast Cancer Awareness.Complete with moisture wicking, antibacterial and machine washable SD Footbed, XSD Insole to increase stability, EVA Midsole, and 50K Outsole made with genuine super slab rubber. 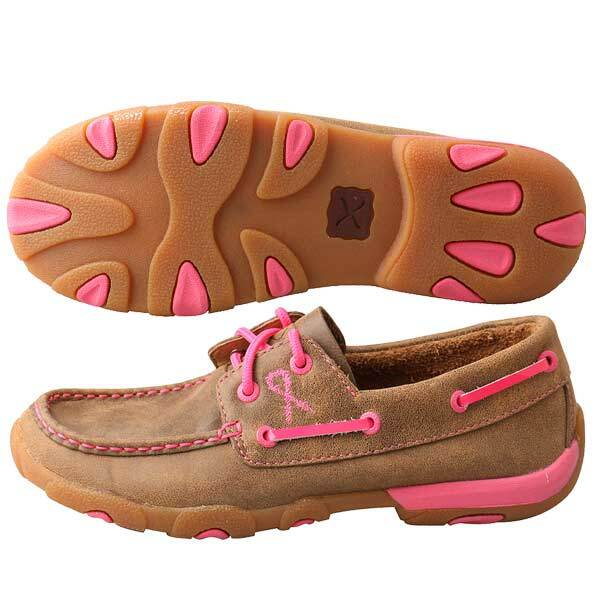 With this moccasin, you are ready for whatever the day entails whether it's barn chores or a night on the town. Color: Bomber/Neon Pink.